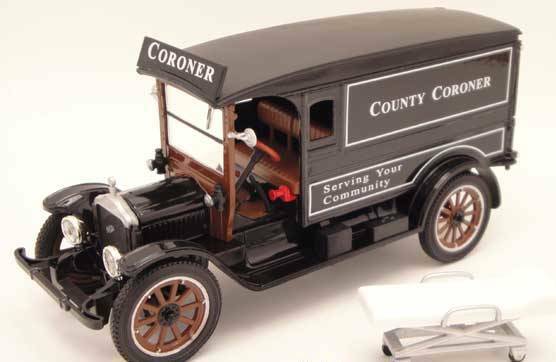 1:32 scale 1920 Coroner Ambulance in Black. A true Diecast model made from high quality standards. This item has become difficult to find and procur. It is now a truly rare collectible.